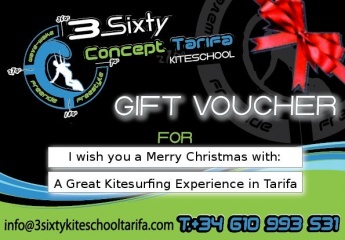 Kitesurfing Christmas Gift Voucher. Gift a kite surfing lesson in Tarifa. Gift a voucher in our kite school, beginner, intermediate or advanced lessons. 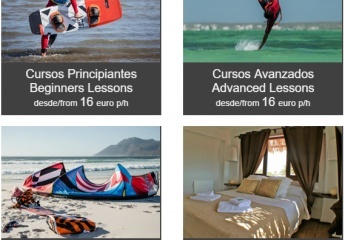 Kite Lessons in Tarifa - Easter Week Offer. This year we have made a Coupon Discount that you can redeem at Easter in all our kitesurf courses, lessons and equipment rentals in Tarifa. Low Season Offer in Tarifa, available from 1 th December until 31 th March every year. Less 20% discount on all our kitesurfing lessons and accommodation. More info for.... Beginner Lessons..
More info for.... Advanced courses..
More info for.... Kite lessons + Accommodation..
More info for.... instructor iko course..